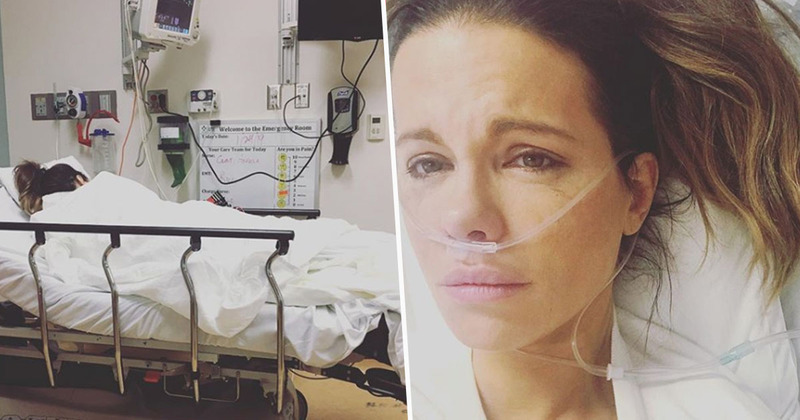 Actor Kate Beckinsale has shared photos of herself from a hospital bed after being rushed in for treatment to a ruptured ovarian cyst. The incident happened just a few nights after Beckinsale gave a speech at the St. Jude Children’s Research Hospital fundraiser, at the LA Art Show in the Los Angeles Convention Center. Beckinsale confirmed her hospitalisation to her friend Peter Savis, the Mirror reports, which happened on Saturday, January 26. You should speak to a doctor urgently if you feel sudden and sever abdominal or pelvic pain, or if you experience pain with fever or vomiting. I think you get to a certain point in your life where you know what cancer does to people’s families. It’s just so incredible to me. It’s just a horrible nightmare. And so the fact that St. Jude takes care of absolutely everything, so literally families have no other worries other than taking care of each other and their kids, I find that so moving and so brilliant. We wish Kate a speedy recovery.